Last Sunday my pastor preached about tarrying, or lingering, in the presence of God. Not rushing through our prayers and Bible reading but to spend time just enjoying His presence and listening to Him. Today, my devotional shared the same message. I love how God is putting this message before me. I need to spend time lingering in His presence. It is so easy to rush through our daily quiet time. After all, we are crazy busy and our lives are rushed. Everything is fast from our food to our internet connection. We have learned that everything needs to be fast paced. But being in the presence of God should never be fast paced or rushed. Our God is not to be rushed. He wants your time and your effort. Think of it this way. If your husband tells you that he is going to take you on a date but instead of a nice, sit-down dinner and leisurely walk around the park, he goes through a fast food drive-thru and eats in the car so he can get back home to watch a ball game or work on a project. You probably wouldn't feel this was a date at all. You really didn't spend much quality time together. We don't want a drive-thru date with our husband and God doesn't want drive-thru time with you. He wants us to linger. To be still and be with Him. One way that I have learned to linger with Him is by Bible journaling. By writing down things I am thankful for, my prayer requests, verses I read, my prayer and then illustrating my quiet time, I am learning to slow down and not rush. The more un-rushed I am, the more I hear from God. Slowing down positions my spirit to be more open to hearing Him. Slow down. Tarry awhile longer. Linger in His presence. My favorite thing about Bible journaling, other than the fact that it helps me to slow down and linger, is that I don't have to be an artist. I don't have to have beautiful handwriting. 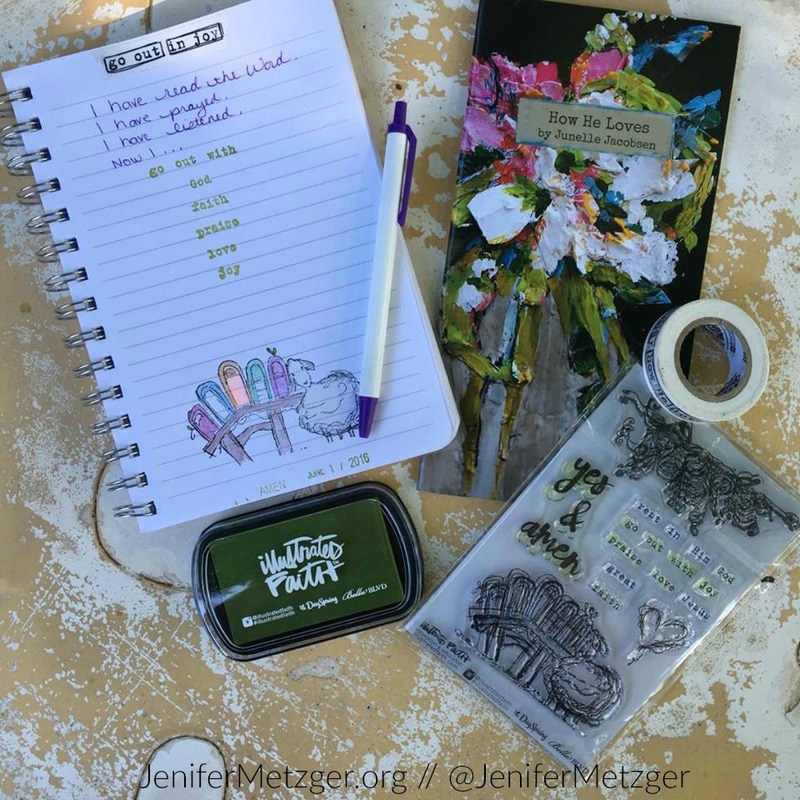 I just have to commit my journaling, words and art, to God as worship. He didn't make me to be some fantastic artist, so as long as I am doing it for Him, He loves it! 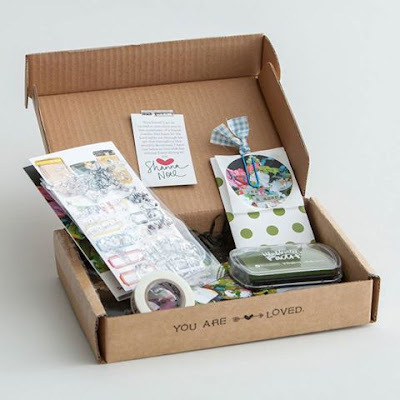 Illustrated Faith kits have great tools to spark creativity and assist all of us, the artists and the not-so-much artists, in our worship. 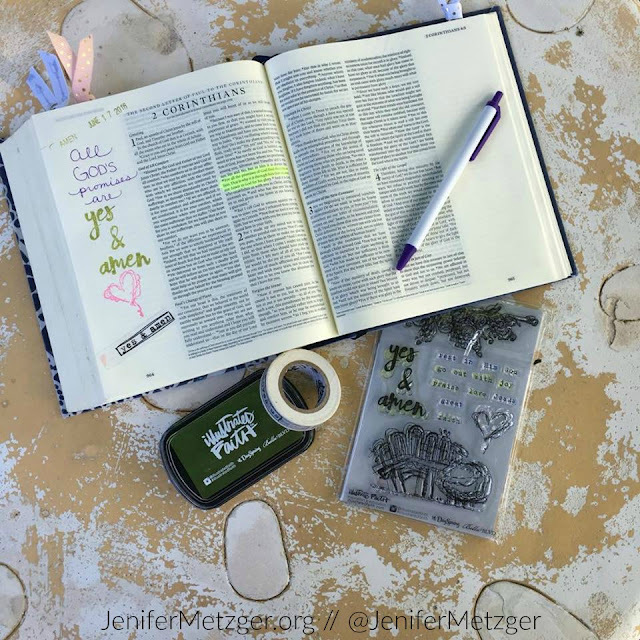 If you are having trouble lingering in the presence of God, try Bible journaling. Slow down and write your prayers out and illustrate what God is teaching you. As you journal, open your heart and ears to hear from God. 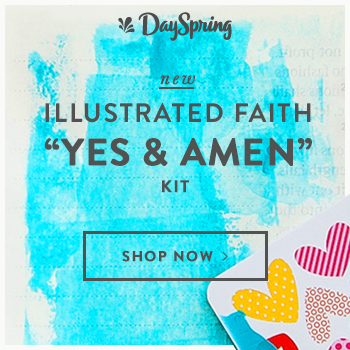 To check out the new Yes & Amen kit from Illustrated Faith and Dayspring, click the image below.